Let'em know that you'll fight for your rights! 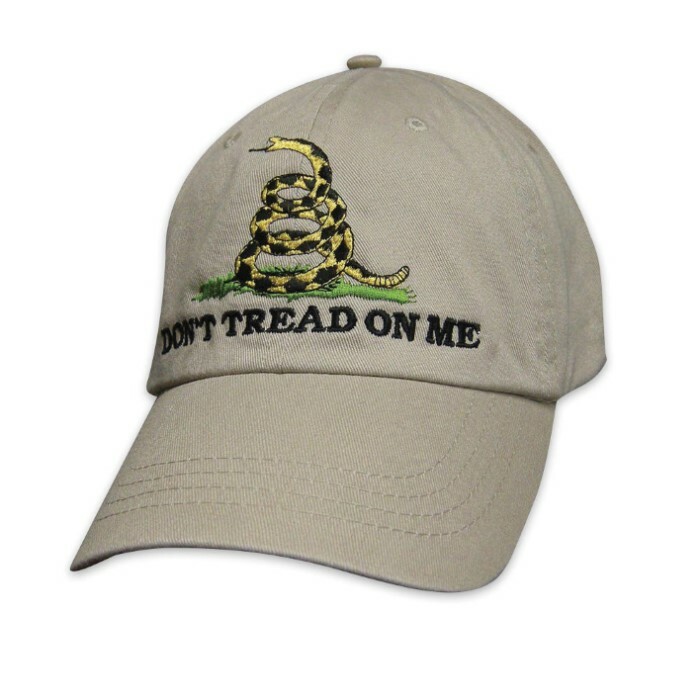 This khaki cap features the slogan, "œDon't Tread On Me" in bold, black-stitch embroidery and the rattlesnake logo on the top of the cap. Features an adjustable band in the back so that one size fits most. The Gadsden flag is a historical American flag with a yellow field depicting a rattlesnake coiled and ready to strike. Positioned below the snake is the legend "Dont Tread on Me"[sic]. The flag was designed by and is named after American general and statesman Christopher Gadsden.